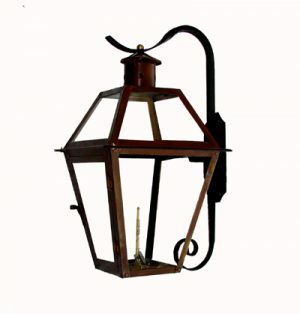 This traditional French Quarter Lantern is cradled by the graceful curve of a gooseneck bracket. 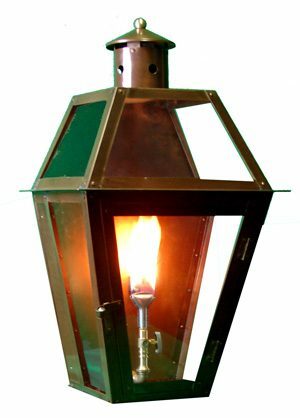 This lantern in an electric triple candle version adorns the rear entrance of Southern Living’s 2010 Louisiana Idea House. 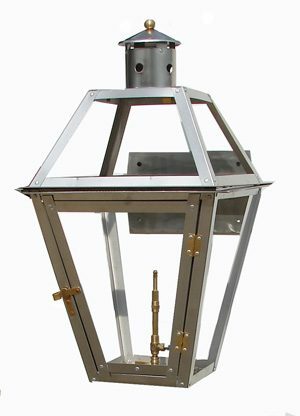 The gooseneck bracket offers an excellent opportunity to “hide” the gas and electrical supply for a polished application. 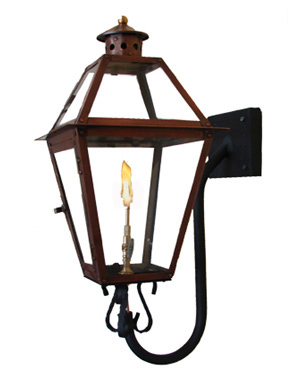 This bracket can be added to most style lanterns.